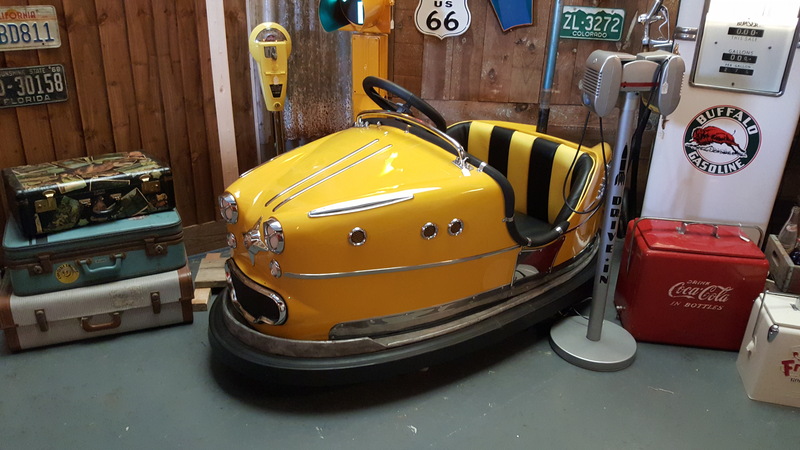 Very rare Vintage 1953 Whittaker Dodgem Bumper Car. 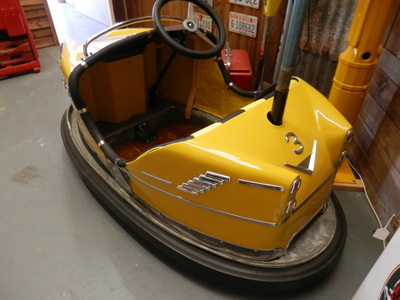 Fully restored and in amazing condition, the body has been removed, rubbed down and sprayed in stunning yellow. The chrome and steel has all been removed and polished or re-chromed to a high standard. 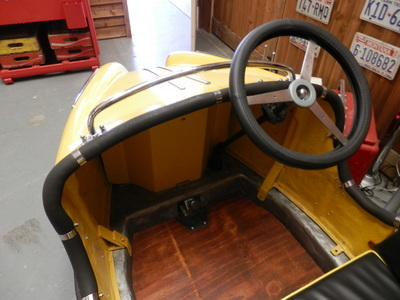 Chassis is fully cleaned, floor base sanded down and re varnished, new chrome bolts and rubber fitted. 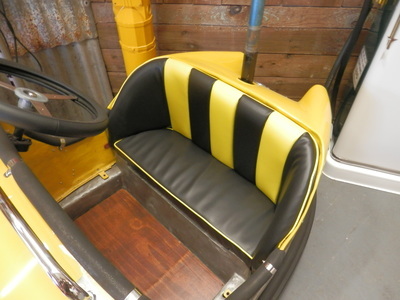 Seat has been re foamed and professionally covered in black and yellow vinyl, decorative pole fitted but we do have the original pole, contacter and motor. These items do not come up in this kind of condition, It is a great talking point, would look stunning in any games room, mancave, restaurant etc. This is a true investment that will only go up in value while you have the pleasure of owning it.